For several years, BookMyShow had a near monopoly on the movie ticketing business in India. As companies in other sectors tried to woo users with discounts and freebies, BookMyShow had been in the enviable position of doing exactly the opposite — it charged a convenience fee on each ticket booked, with tickets on its online platform being more expensive than tickets booked at the Box office. As other startups languished with unsustainable losses, BookMyShow became one of the few Indian startups that actually made money. But its cozy position is now under threat from unexpected quarters. 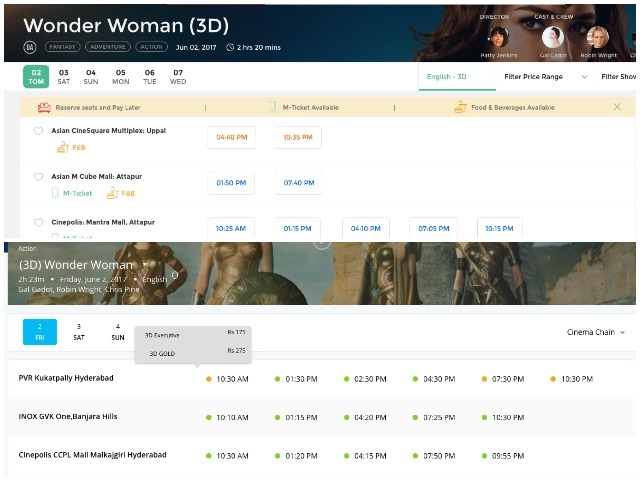 Wallet provider Paytm had launched its ticketing business in March 2016, and nearly a year later, the company says it now does 20% of opening box office collections for most movies. And it isn’t merely content with staying there — Paytm says it aims to reach 50% of opening box office collections by the end of 2017. Hemrajani is right — 2017 has been the graveyard for startups which attempted to grow too fast too quickly. 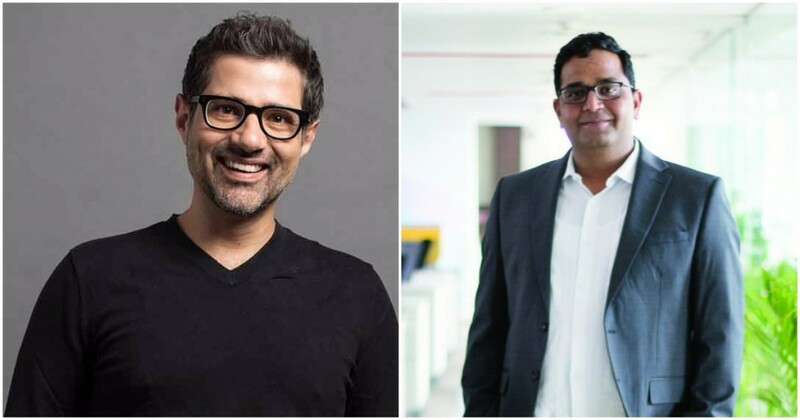 Paytm too is trying to make inroads into a business that BookMyShow took over a decade to develop, and it’s spending lavishly to acquire its users. BookMyShow famously offered no discounts, but Paytm ran a straight 50% cashback on its movie tickets for the longest time, effectively losing nearly half the price of a ticket on each transaction. Paytm is serious about its movies vertical — the movies tab now occupies the coveted (and most clicked) leftmost tab on its website. And when Australia played India in its home series for which Paytm was the official sponsor, it chose to highlight its movies arm as opposed to its generic brand. Viewed in isolation, Paytm’s movie fray could be seen as a misadventure where an upstart tries to dislodge an incumbent using discounts alone. The movie booking experience isn’t radically different on Paytm than from BookMyShow — in fact, Paytm’s user interface seems to draw heavily from BookMyShow. But Paytm doesn’t view the movie tickets as its core business — it’s only a means to an end. “We will use movie tickets as an anchor to expand our offline reach,” said Vijay Shekhar Sharma.”Our aim is to aggressively expand everyday use cases and cover the whole basket ranging from bill payments to ticket bookings and e-commerce. Let the network effect play (out),” CEO Vijay Shekhar Sharma had said while launching the vertical. Which means that Paytm wants to its customers to use its services whenever they’re making payments, offline and online. And movie tickets is only one part of its strategy — over the last year, Paytm has expanded to everything from flight, train and bus tickets, to hotel and events, to letting users buy gold on its platform. Paytm could be thought to be spreading itself too thin — it isn’t the number one player in any of these categories, and internet business are not known to be kind to second place finishers, as Bing and Orkut will testify. But what will tie all these seemingly disparate investments together is Paytm’s payments business — with 220 million wallet users and counting, Paytm hopes that these investments will eventually build usage for its payments product. Paytm is already India’s number one wallet provider, and finds it easy to raise capital, with a mega Rs. 10,000 crore funding round being announced this very month. It will be interesting to see how BookMyShow counters Paytm’s advances. Ashish Hemrajani seems to think Paytm’s not spending its money intelligently, but BookMyShow already started mimicking Paytm, offering 50% discount coupons of its own. Movie tickets are a $10 billion business in India, and could be the scene of an engrossing battle between two of India’s most successful startups.